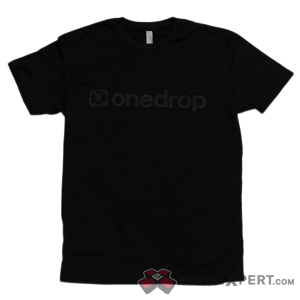 YoYoExpert Blog & Yo-Yo News – One Drop Terrarian & T-Shirt Restock! The Terrarian sports a wide wing shaped profile that was designed to easily take down enemies in the game and confidently slay the riskiest tricks in real life! The wide profile is comfortable in the hand and thanks to a new machining technique, One Drop was able to distribute the weight evenly enough to give this extra wide throw a powerful, yet floaty sensation during play. The Projection Profile, which we’ve seen on other One Drop models such as the Code2 and Rebirth, is featured throughout the entire catch zone. It gives your nerve endings a unique feel through long grinds or after catching that impossibly critical combo. 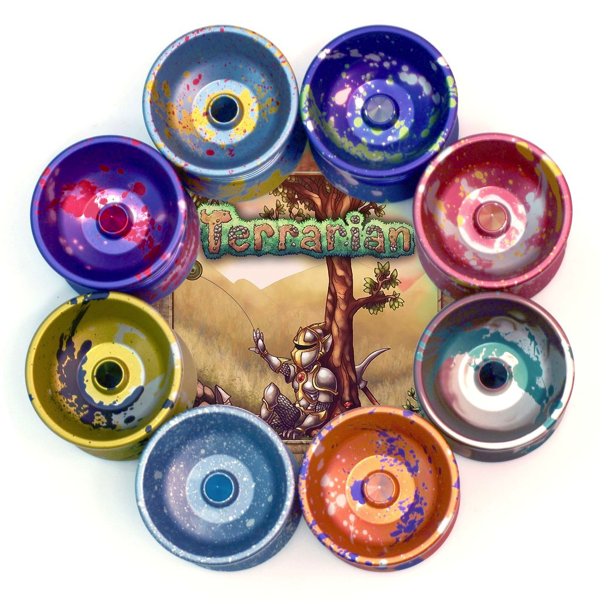 The Terrarian features the One Drop signature Side Effect Axle System which gives you the opportunity to customize your yo-yo and change how it feels, plays, and looks! BLACKOUT TEE & GRAY LOGO TEE! GRAY LOGO TEE AVAILABLE HERE!